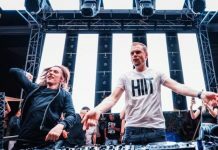 Armin van Buuren Drops Official Aftermovie of The Best of Armin Only ! It’s no surprise that ‘The Best Of Armin Only‘ truly was Armin van Buuren’s biggest solo show ever. 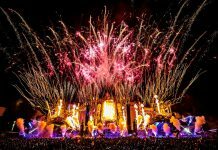 Two times 40,000 fans from 97 different countries in a sold-out Amsterdam Arena, a behemoth LED screen (1200m2), two-hundred crew members, two-thousand blasts of fireworks and so much more. The livestream on arminonly.tv, Facebook Live and Dutch television station RTL 4, which reeled in over 4.8 million viewers from all over the globe, showed the full extent of ‘The Best Of Armin Only’. Joined on stage by 22 artists, 45 dancers, ten acrobats, four trampolinists and a drum band of fifty-six strong, Armin van Buuren went all out on all fronts for ‘The Best Of Armin Only’. It is without doubt a show tantamount to the artistic stature of Armin van Buuren. 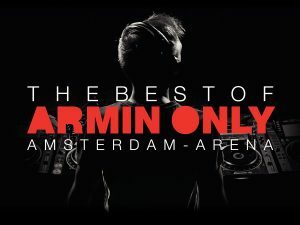 Before the start of the second show at the Amsterdam Arena, Armin van Buuren launched his ‘The Best Of Armin Only‘ album. The album captures the essence of all of Armin van Buuren’s previous ‘Armin Only’ shows and contains its highlights as well as the new music played during ‘The Best Of Armin Only’.